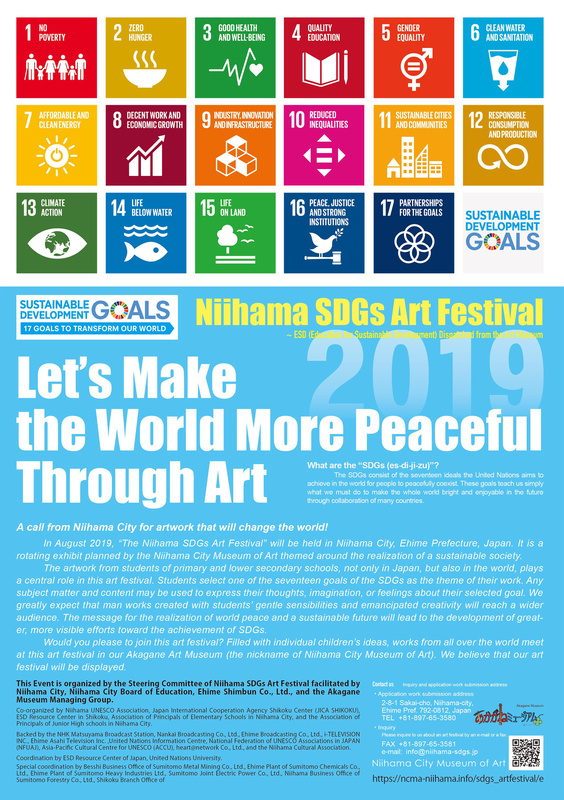 “The Niihama SDGs Art Festival” will be held in Niihama City, Ehime Prefecture, Japan. It is a rotating exhibit planned by the Niihama City Museum of Art themed around the realization of a sustainable society. in this art festival. Students select one of the seventeen goals of the SDGs as the theme of their work. All the submitted works are principally displayed at the gallery in the Niihama City Museum of Art. ■Period of exhibit: August 24th to October 18th, 2019.